Eye creams are one skincare product that I never skip on – it’s one of the most important skincare items for me. My eye area is very dry and I need hydration – and a lot of it. Aside from being dry, I have serious issues with darkness, puffiness and dullness so as well as needing hydration, I need help with reducing puffiness and dullness. 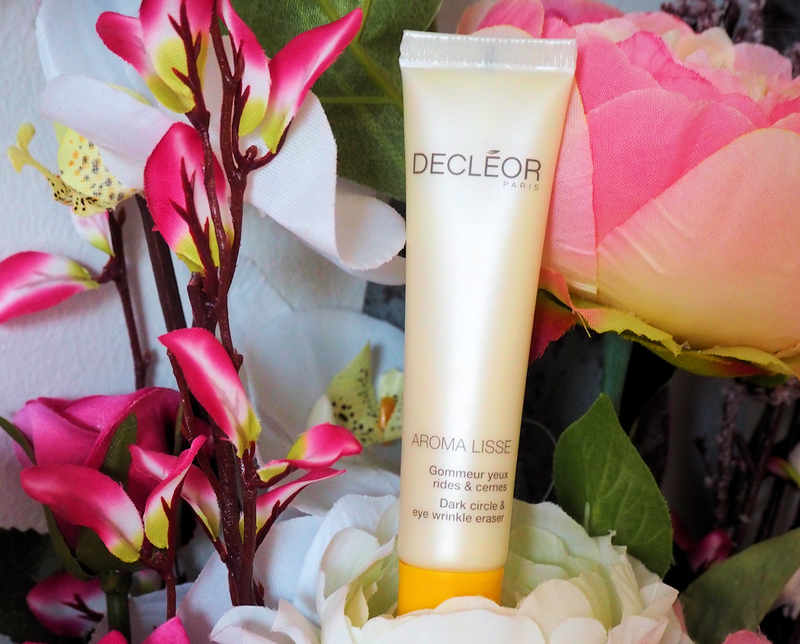 Just before Christmas Cosmetics Online Ireland very kindly sent me this beautiful eye cream by Decléor to try out. I have been using it since and today I want to share my thoughts on it with you. This cream comes in a squeezy tube, making it easy to squeeze out the right amount, ensuring no waste and it has a silicone wand for precise application. My holy grail eye cream for hydration is Bobbi Brown’s Hydrating Eye Cream. That cream is magic for hydration. I also love the rich version of Clinique’s All About Eyes eye cream. Both are thick in texture and consistency but neither are heavy or greasy and Bobbi’s Hydrating Cream is slightly creamier than Clinique’s cream. This cream by Decléor is quite similar to the consistency of Bobbi’s Cream. It’s thick, but creamy, it spreads easy and a little goes a long way. It’s a very hydrating cream that isn’t heavy or greasy and just like the aforementioned creams, it absorbs quickly too. It gives the same level of hydration that Bobbi’s cream does and it does help with puffiness and dullness, not as much as Clinique’s but enough for me to notice a difference. It has a gorgeous scent that dissipates once patted into the skin and doesn’t linger or cause any irritation. Makeup applies really nicely over it and performs just as well as with other creams. If hydration is something you need this is well worth checking out. It’s a beautiful product to use and is a nice alternative to Bobbi’s cream. You can purchase this cream on Cosmetics Online. Have you tried this Decléor eye cream or any of the products mentioned? I’d love to hear your thoughts. This product was very kindly gifted to me by Cosmetics Online Ireland, however, this post is not sponsored or affiliated with any of the brands or companies mentioned and all opinions are my own. No affiliate links are used in this, or any other post.